Grand River-cruising, Cave Spelunking, Kayaking and more in one place. 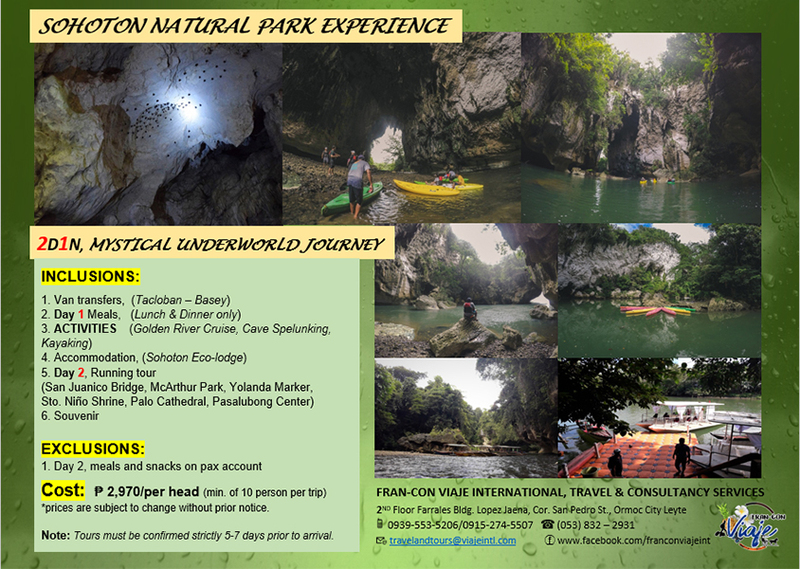 Experience and discover the best of Basey, Samar, purely being one with the beauty of nature. Samar, is the Caving Capital of the Philippines, it gives you the opportunity to embark on a magical dark underworld journey. Here in Sohoton Natural Park, Basey, Samar. Get to experience not 1, but 4 amazing experiences in the island made up of 60% lime stones. 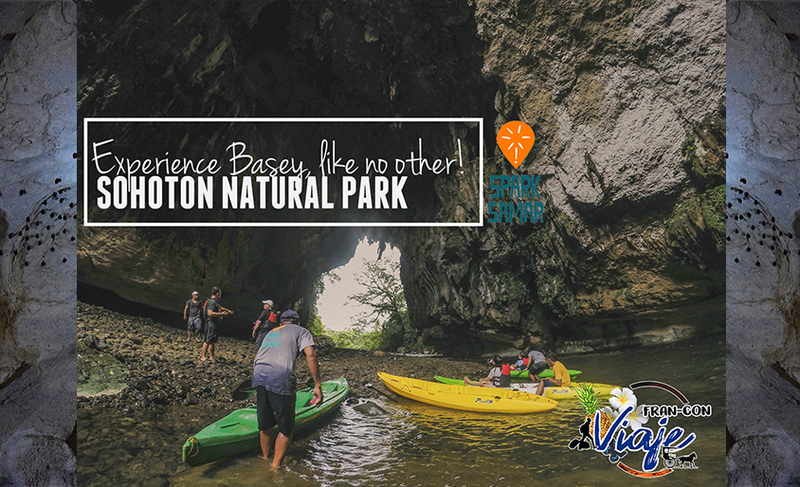 Prepare to have your jaws drop in awe as you go Kayaking through the many beautiful rock formations and pristine rivers, as golden yellow leaves of the Narra Trees falls dramatically adding beauty to your cruise. 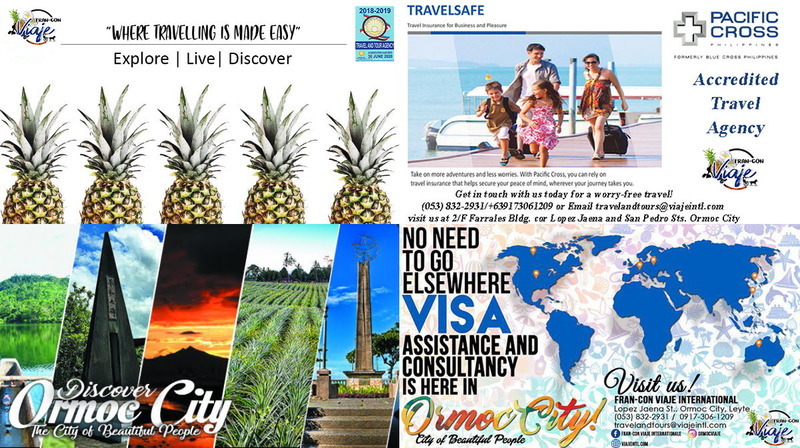 Experience a worry less, efficient and convenient private tours, only here in Fran-Con Viaje International. NOTE: Full itinerary is available upon request.